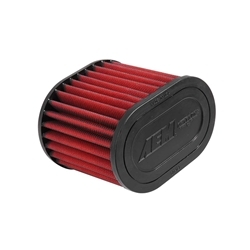 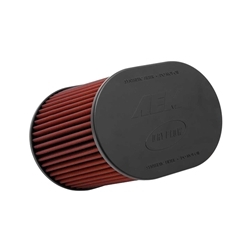 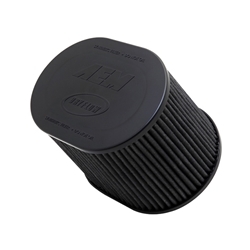 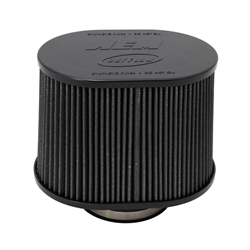 AEM Universal Air Filters feature their Dryflow air filter media. 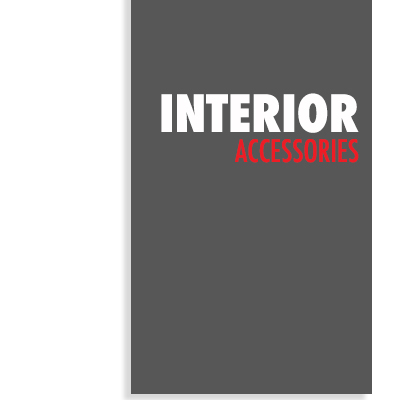 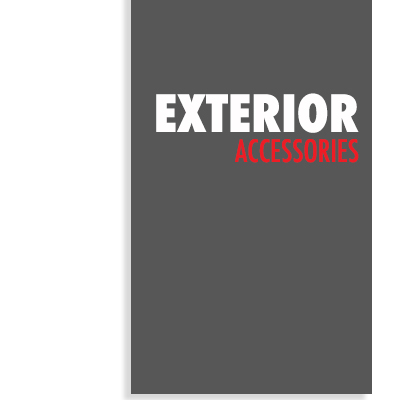 They are available in different sizes and shapes for use in a variety of applications. 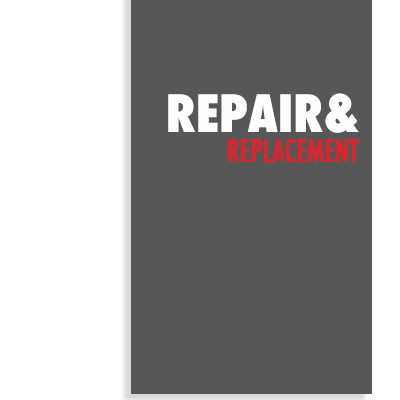 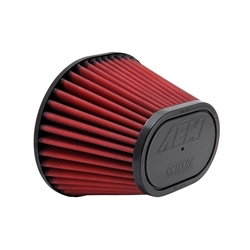 AEM Dryflow® replacement air filters can be used for up to 50,000 miles before cleaning is needed depending on driving conditions. 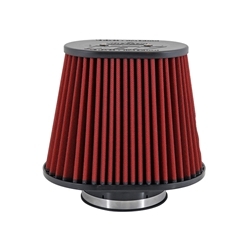 We recommend you check your Dryflow air filter periodically and when it does get dirty don't worry because cleaning is a breeze. 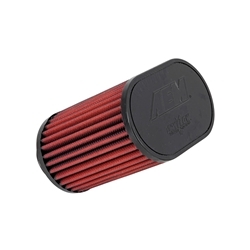 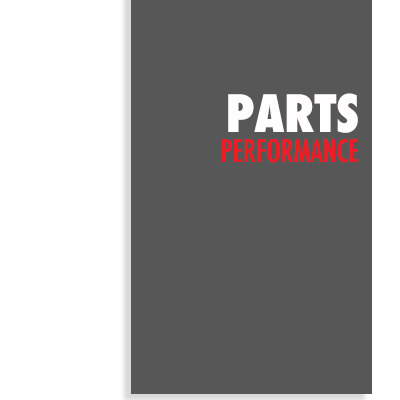 AEM synthetic air filter cleaner loosens and dissolves filter dirt and grime so it can be rinsed away with water. 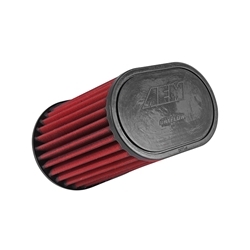 AEM universal air filters feature their Dryflow air filter media. 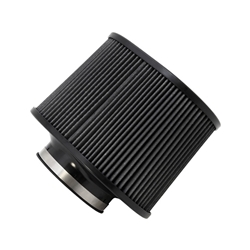 They are available in different sizes and shapes for use in a variety of applications. 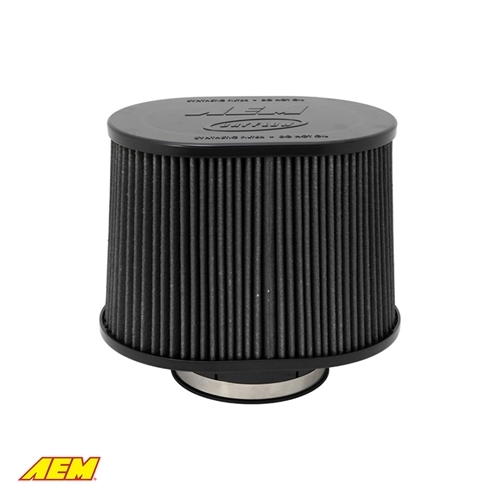 Most of AEM universal cone are constructed with ultra-strong molded pliable rubber flanges which absorb vibration, allow for a secure attachment. 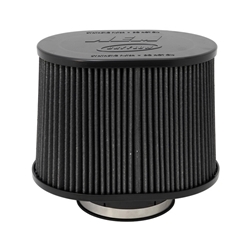 and can be stretched up to 1/6" (1.5mm) to fit in-between sizes. 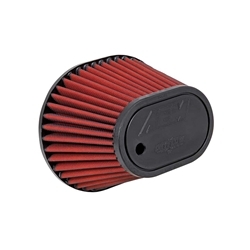 Universal air filters are not street-legal unless used as a direct replacement for a street-legal intake system.